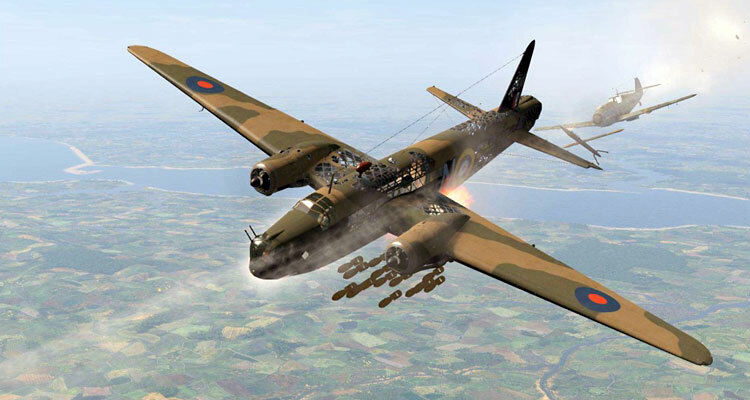 The last patch for IL-2 Sturmovik: Cliffs of Dover solved many performance issues, improved frame rates and made the game more playable for many players. So this review will focus on the question, "If Cliffs of Dover becomes more playable on my PC, what can I do with it!?" How about loading up Channel Battles, the latest add-on from third party developer, Desastersoft? In May I reviewed one of the most comprehensive third party add-ons to Cliffs of Dover, Desastersoft's Wick vs Dundas. Wick vs Dundas did not just add a whole lot of skins, objects and missions to Cliffs of Dover, it put the new content into a well packaged new campaign platform allowing the player to gain promotions, and win medals, by their progress through the campaigns. It also increased the interactivity and immersion of the offline experience by adding radio calls triggered by in-game events, which could change your objectives "on-the-fly". I won't recap all the features of the Desastersoft add-on platform here. For that review: go here. 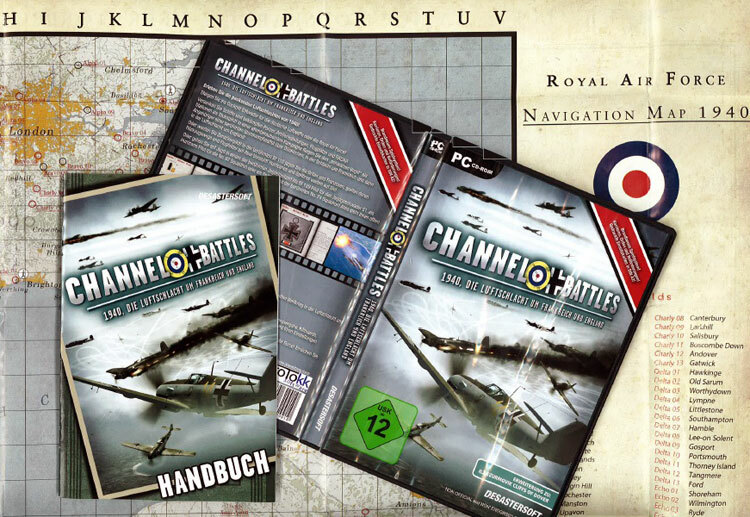 Instead, I will look at the upcoming English Language release coming from the German Desastersoft stable, "Channel Battles", and give you a play-by-play taste of what campaigning in the Channel Battles add-on has to offer. And the good news is, although the English language release is still a way off, and the add-on is currently only available in German, I will show you why you don't need to wait! Don't speak German? No problem, with the patented "Heinkill workaround for German add-ons". I am using Cliffs of Dover version 1.08 beta patch for the review. I got a hold of the physical jewel case from Desastersoft, but the add-on is also available as a download. The jewel case comes with a beautiful map of RAF and Luftwaffe airfields, which you will use during the campaign, as you'll see. Also included is a German language handbook, which if you are not German, you won't get much joy from. But trust me on this, you don't need it. The physical Channel Battles package with DVD-ROM, handbook, and map.